I ate it like an open-faced sandwich. 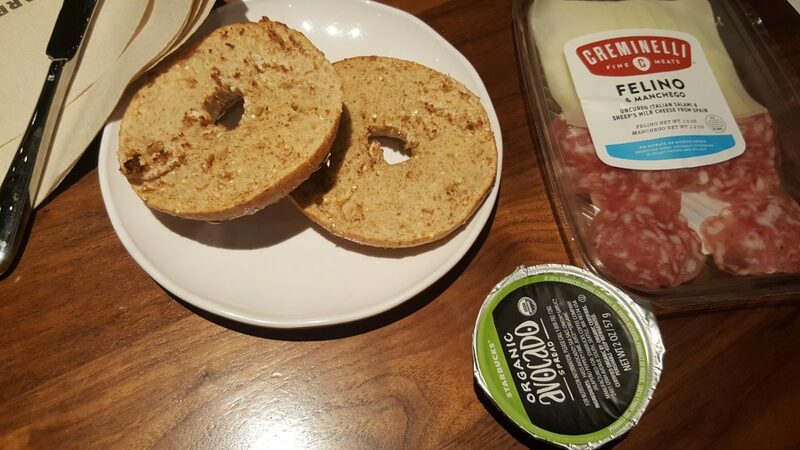 It’s a very good thing that I walked into that Starbucks super hungry, because I left stuffed, having tried the salami and cheese alone and on a bagel. 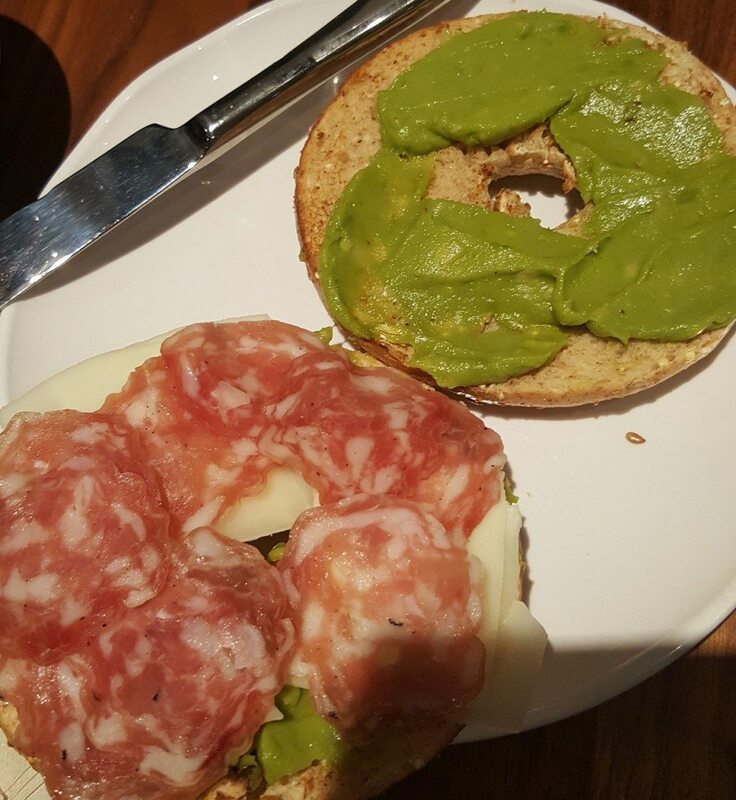 And this is my current favorite Starbucks food hack for you: toasted multigrain bagel, with avocado spread, topped with salami and cheese. 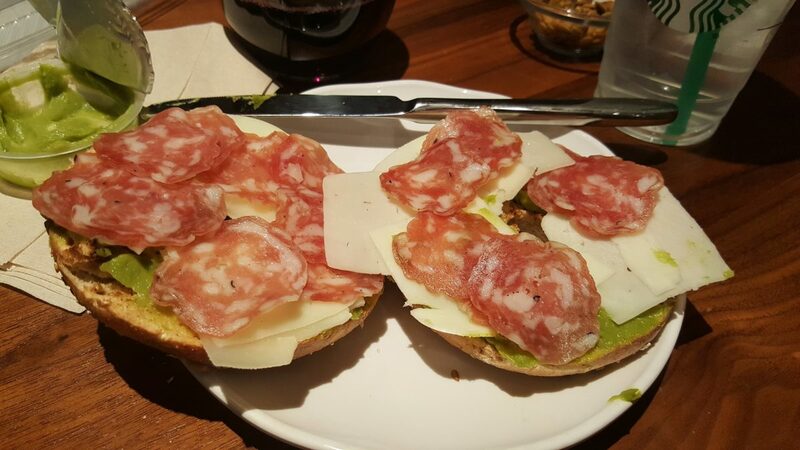 Don’t forget you can use a reward on the salami and cheese back. There you have it. I hope you try it! Discover your barista's drink creativity: Barista Originals. Have you tried the new savory Foldovers? New! Pepperoni at Starbucks! 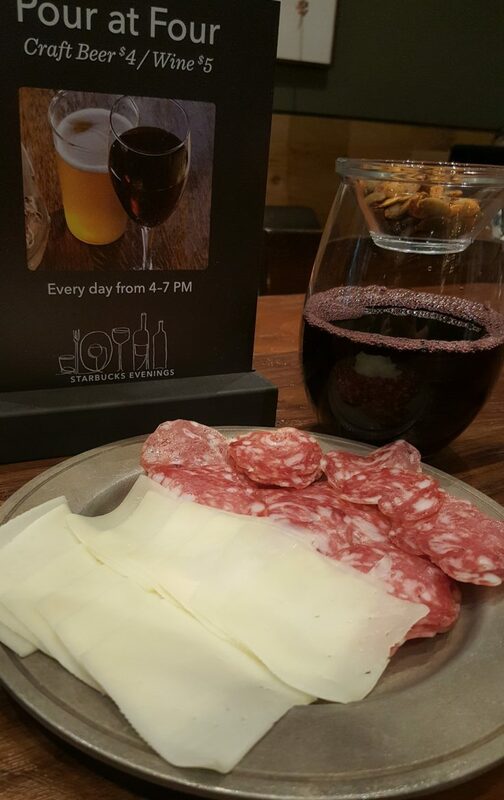 An Invitation: Have a Glass of Wine at Starbucks. Maple Valley Starbucks Partners with Artist Michael Tolleson to Raise Money for the Autism Society of Washington. 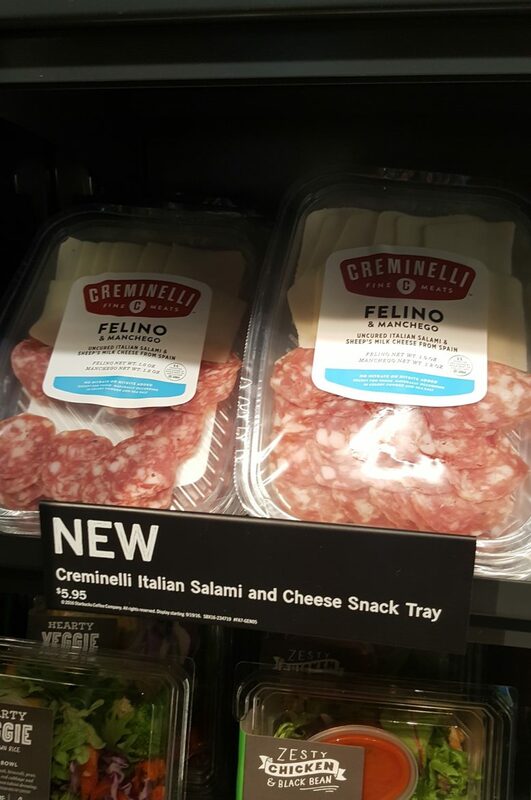 I can’t eat the salami & cheese because I am a vegetarian. Any chance they will have just a cheese plate soon? I had not heard about the avocado spread. Do all Starbucks have it or just the ones with fresh food? The avocado spread sounds good on a bagel by itself, too.